Studying health issues known to affect the breed. Evaluating health trends in the breed as a whole. Establishing working relationships with the Alaskan Malamute Research Foundation, the AKC’s Canine Health Foundation, and other funding agencies. Networking with other breed clubs or research organizations that share common interests. Providing information and feedback to the AMCA Board of Directors and other committees with regard to health issues. Presenting a progress report to the membership at each Annual Meeting. Contributing up-to-date scientific information to the AMCA web site’s health page. 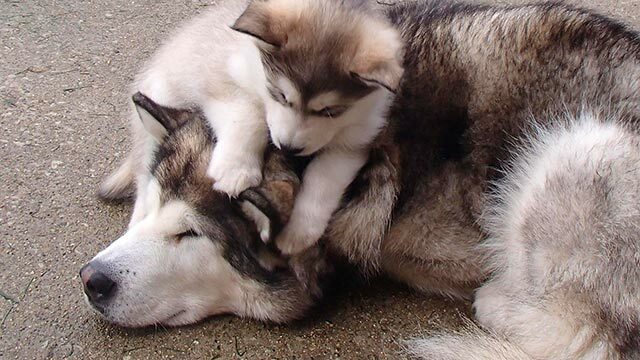 IMPORTANT The content of this web site is meant to provide helpful information to malamute owners about canine health issues that may arise, but it is not a substitute for professional veterinary advice. If your dog is showing signs of any medical problem, please consult your veterinarian right away. We hope that the information on this site will help you to work knowledgeably with your veterinarian to provide the best possible care for your dog. Neither the AMCA nor the Health Committee is responsible for actions taken by people who use the site’s content to make decisions about their canine health care, nor for the consequences of those actions. We can’t emphasize enough that you should see your own veterinarian if your dog has a medical problem. How to hold a DNA banking clinic.